The judge blew his whistle and the cold wind raced against their mist covered helmets as the cyclists reached speeds of 35 miles an hour. 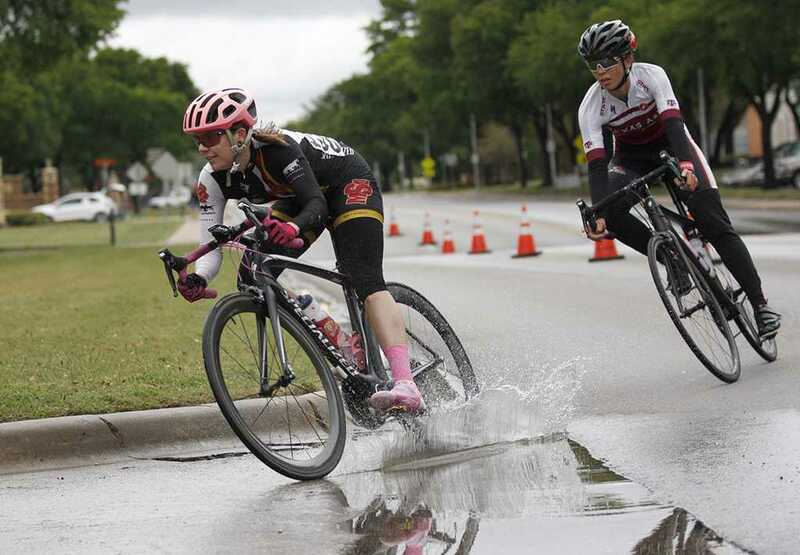 Water splashed on their faces and chests as a rider’s wheel sliced through puddles in front of them. The fans rattled their bells, while screaming and cheering each time a group of cyclists passed by. Only one can be named first. 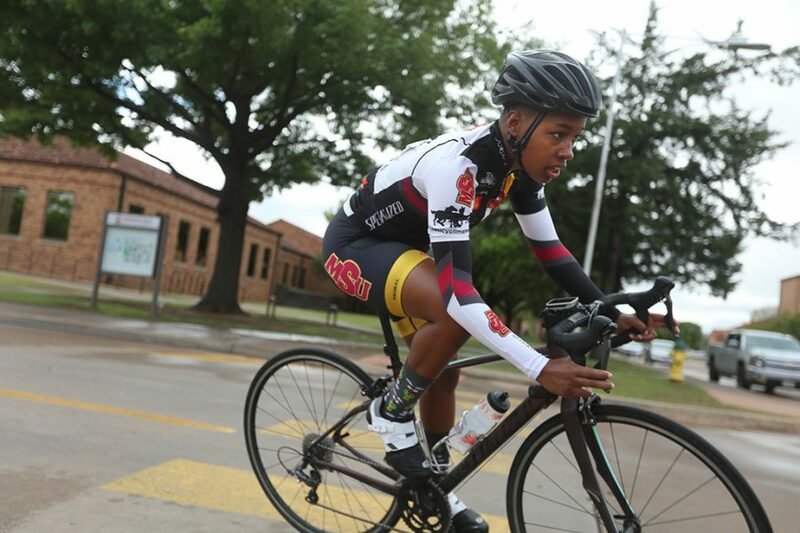 More than 75 cyclists competed in the campus criterium races as part of the 2-Day SCCCC Conference Championship Event and Fixed Gear Criterium, including 14 MSU cyclists competing in various categories. 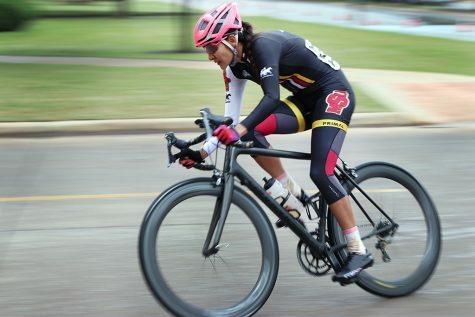 Though there was heavy rainfall leading up to just minutes before the event, Charlie Zamastil, director of the cycling team, said that was not enough to stop the race. “As long as it is not flooding, lightning, or tornados we race. Miserable conditions do not stop cyclist,” Zamastil said. With the competition being set just after heavy rainfall on a cold and windy day, the cyclists had to adjust their strategies to the inclement weather. The slippery concrete made from the heavy rainfall could have significant consequences for someone who is not prepared for the inclement weather. One event that surprised people in the audience was Bill Ash, accounting and finance senior, winning first place in his division despite people not thinking he was going to compete in the first place. Coleman Reidling, one of the cyclists racing on behalf of Baylor University, completed his bachelor’s degree here. “I love coming back to Wichita Falls, it fells like home to me here. 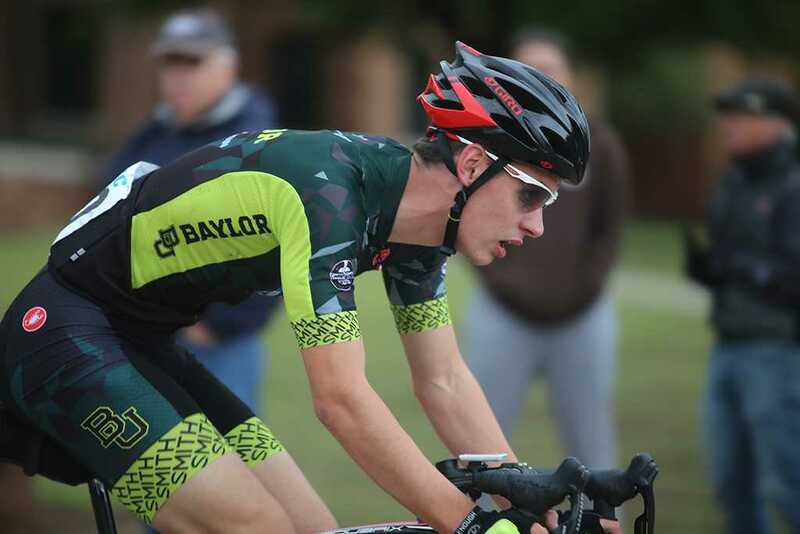 I wouldn’t be cycling if it wasn’t for Charlie or MSU,” Reidling said. 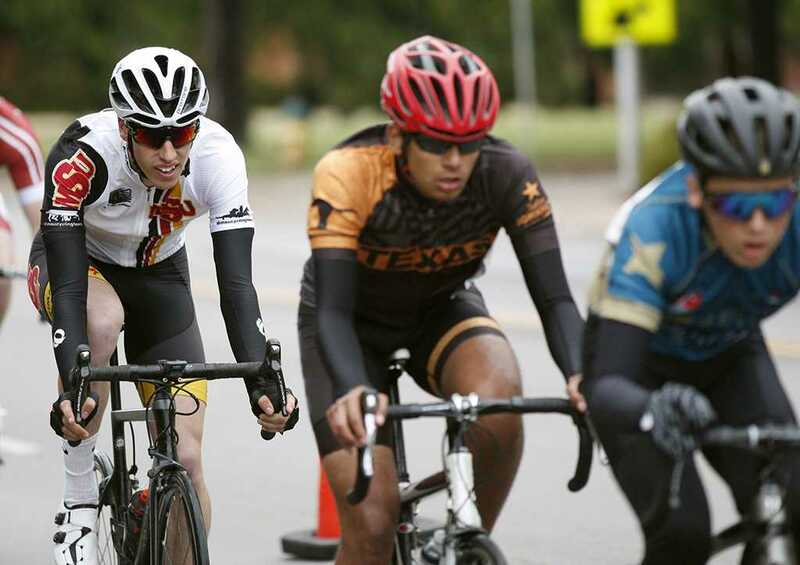 Eight out of the 14 cyclists placed in their respective divisions. 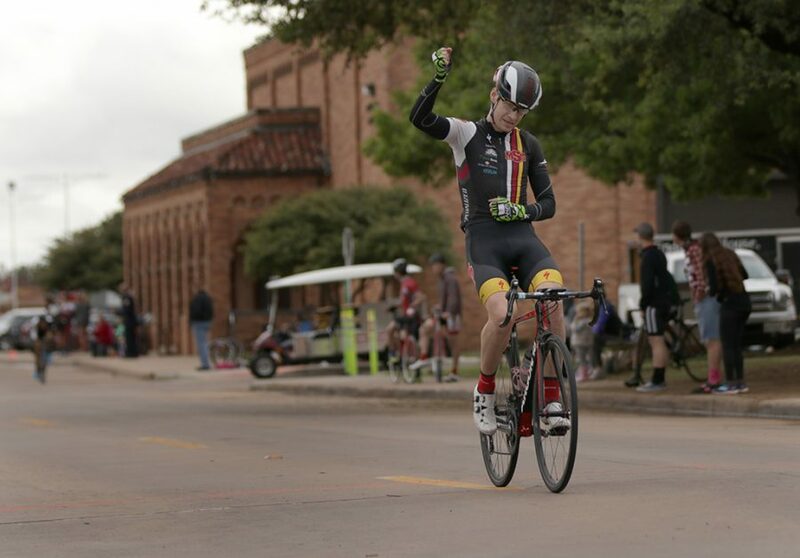 Brandon Allen, mechanical engineering senior | “I’ve been preparing for this race since last summer. Our training is similar to a runner’s, we train for endurance and speed months in advance. [Because of the road being wet] there was a crash at turn three. I was behind the crash so I was able to avoid it, but we got pulled from the race because we just couldn’t catch back up with the main group.